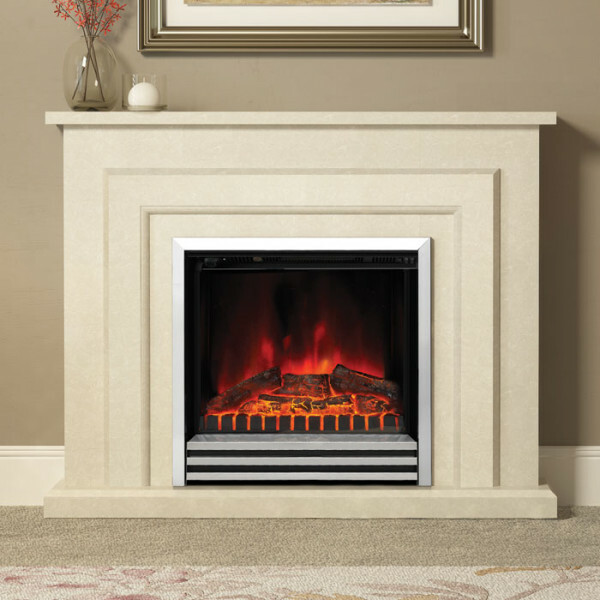 The Elgin & Hall Farnham Electric Fireplace Suite offers ultimate convenience and choice. 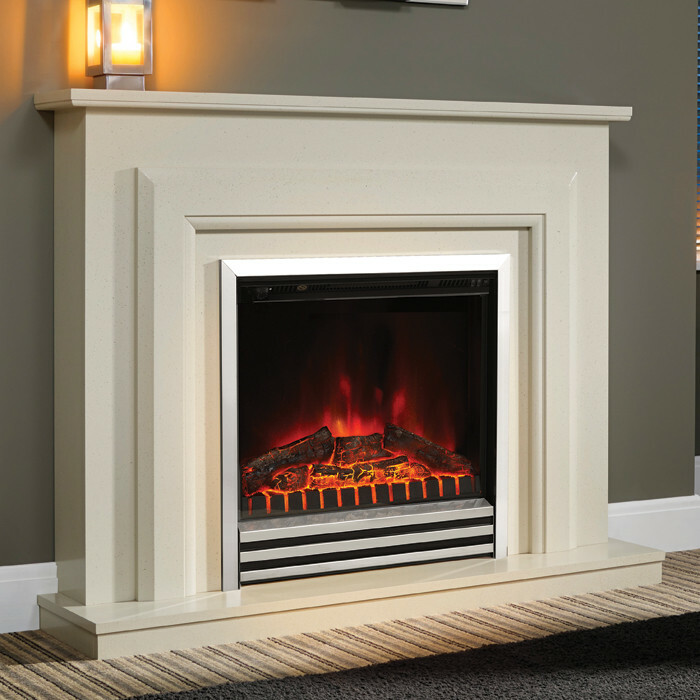 The Farnham Electric Fireplace can be easily installed against a flat wall in any room and is available in either 44" or 48" width. The 2kW performance provides instant heat when you arrive home, supplements central heating or allows you to heat just one room when the weather in cool outside. 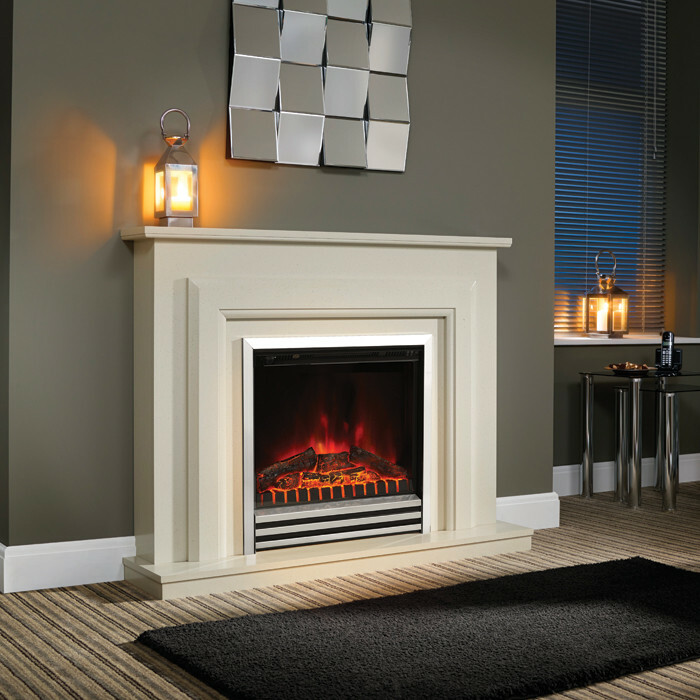 The flame effect only setting gives the impression of radiant logs and flickering flames witrh a choice of three levels without the added heat, perfect for warmer nights. 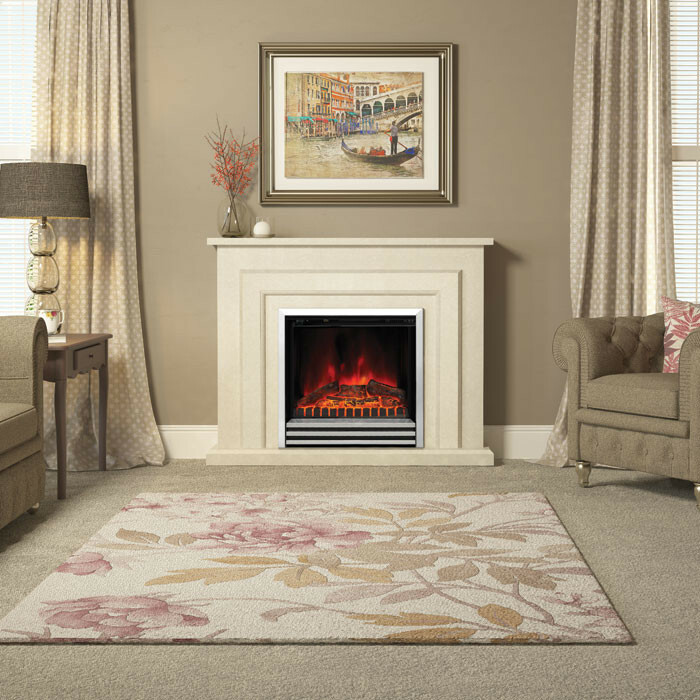 The Farnham Electric Fireplace Suite offers the latest LED technology produces a play of red, orange and yellow tones with hints of blue that is both realistic and cost effective. One box product, easy to handle. 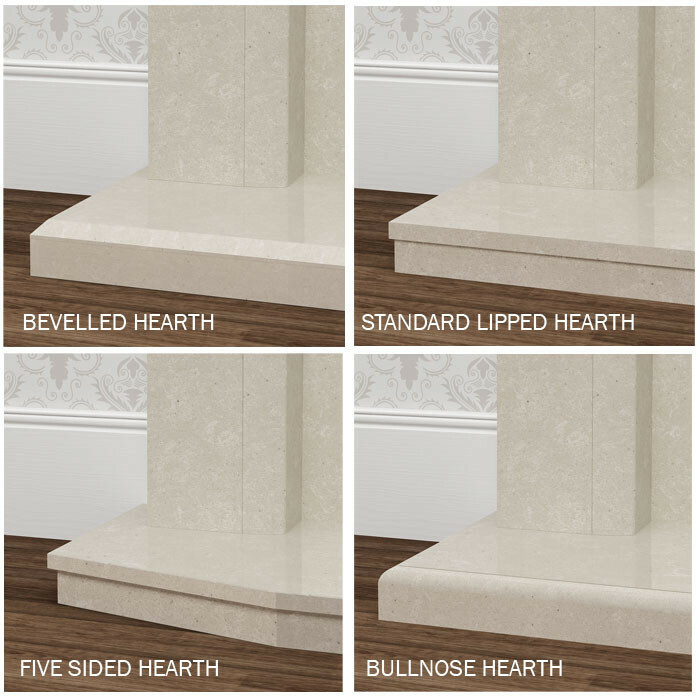 Can be installed against flat wall without the need of a chimney.